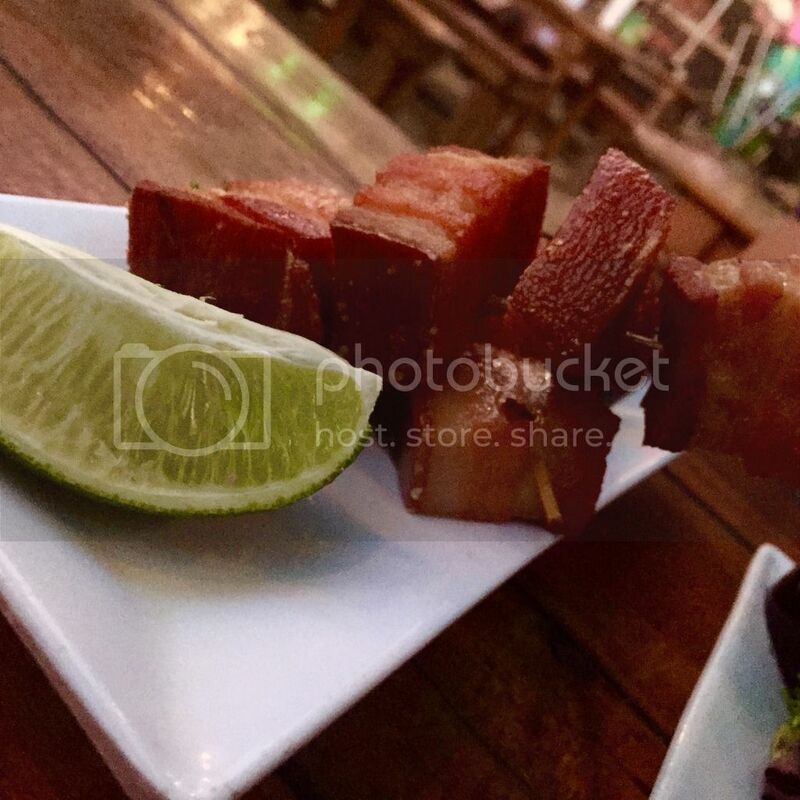 Smoked Pork Belly Skewers – (below) served on a bed of greens accompanied by a savory spicy sauce, $10. 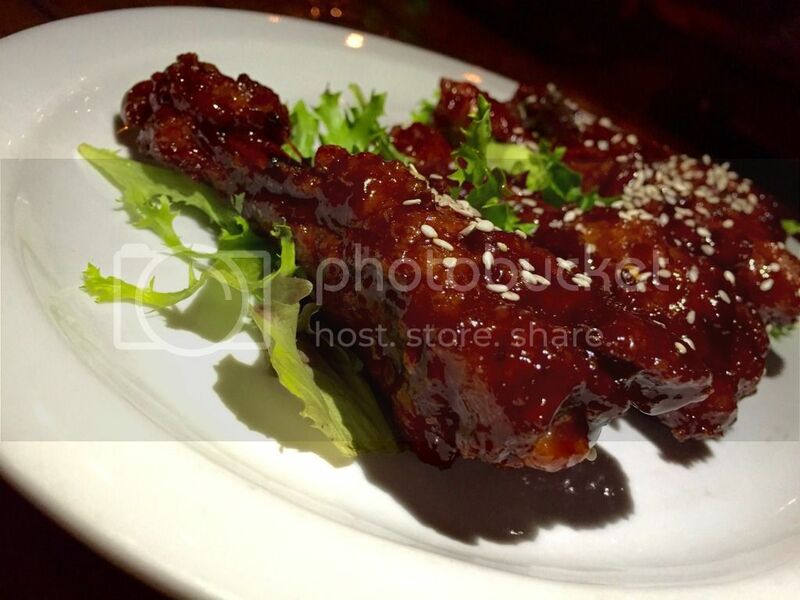 Mongolian Duck Wings – (below) tossed in sesame seed and The Butcher Shop’s signature Mongolian sweet and tangy sauce, $10. 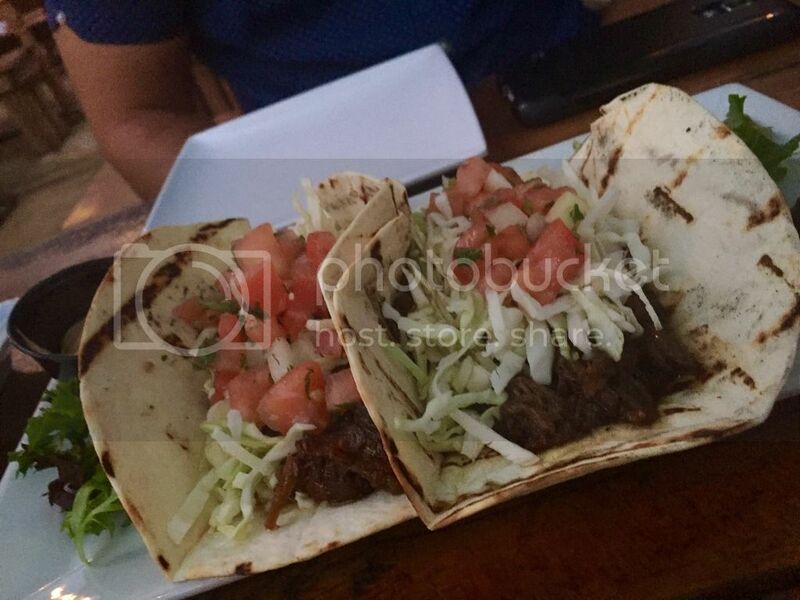 Short Rib Tacos – (a favorite, below) braised short ribs served on flour tortillas and topped with fresh slaw and Pico de Gallo, $12. 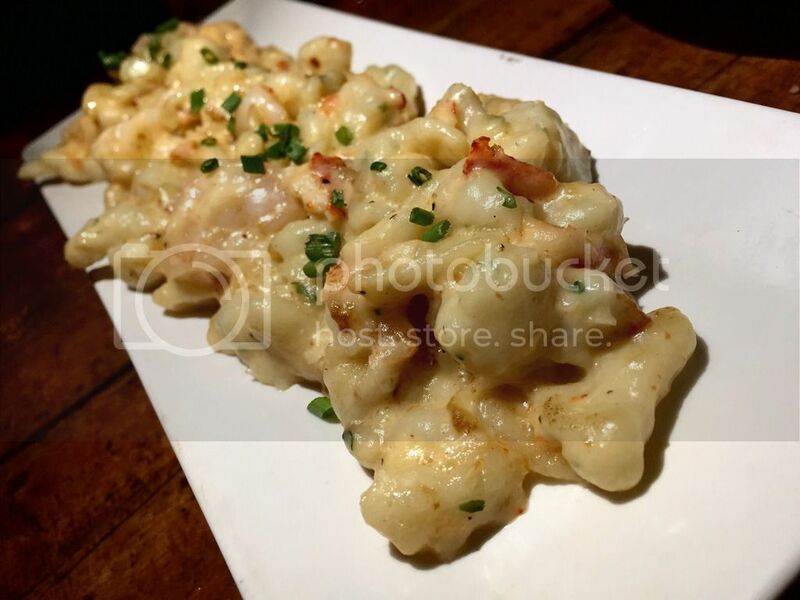 Lobster Mac & Cheese – (below) fresh lobster and Gulf shrimp smothered in assorted cheeses and topped with crisp bacon, $14. 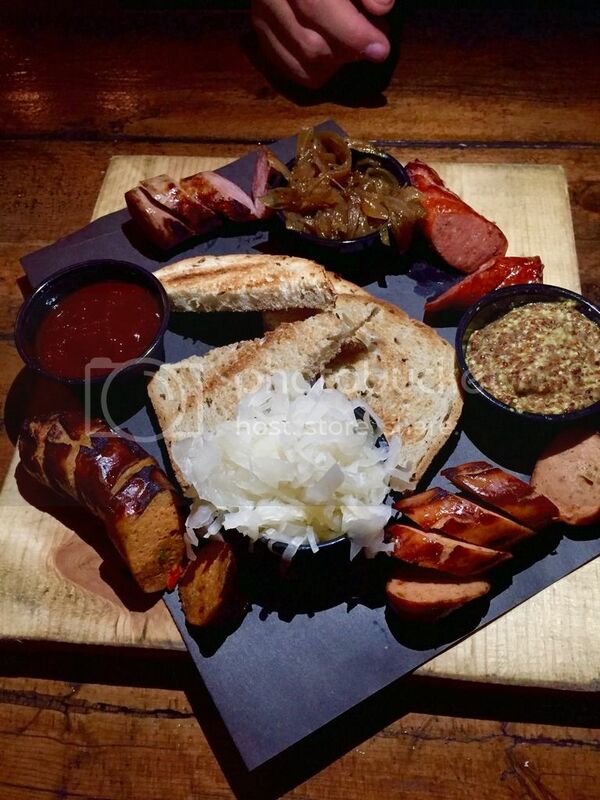 Assorted Sausage Platter – (below) served with fresh sauerkraut, caramelized onions, whole grain mustard and curry sauce, $28 (and totally worth it if you’re sharing with a friend). 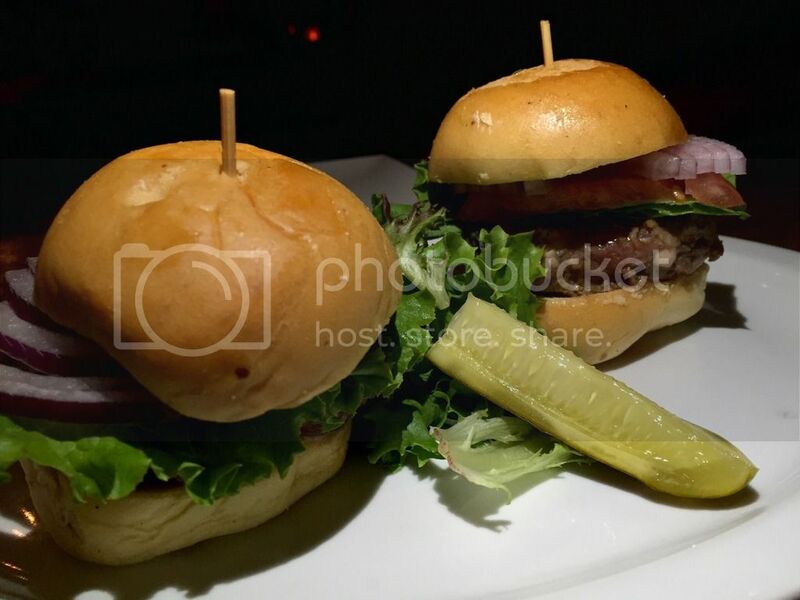 Bacon Gorgonzola Sliders – (another favorite, below) fresh Gorgonzola and bacon blended into miniature bites, $13 (for full-sized burger). 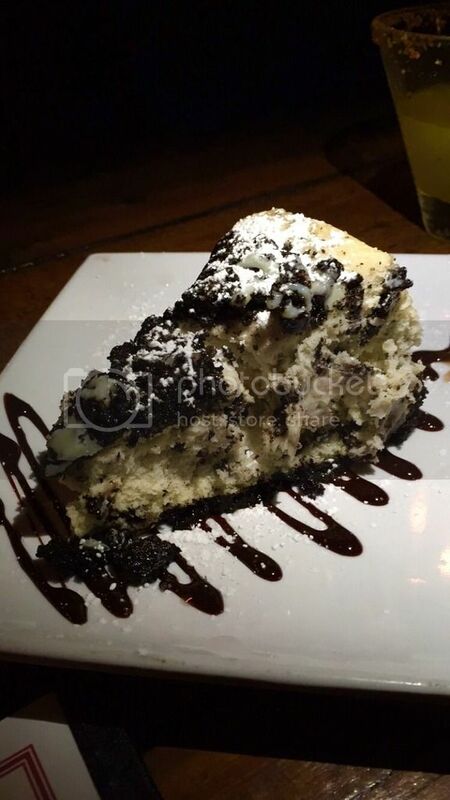 Oreo Cheese Cake – (below) heaven in every single bite, $9. 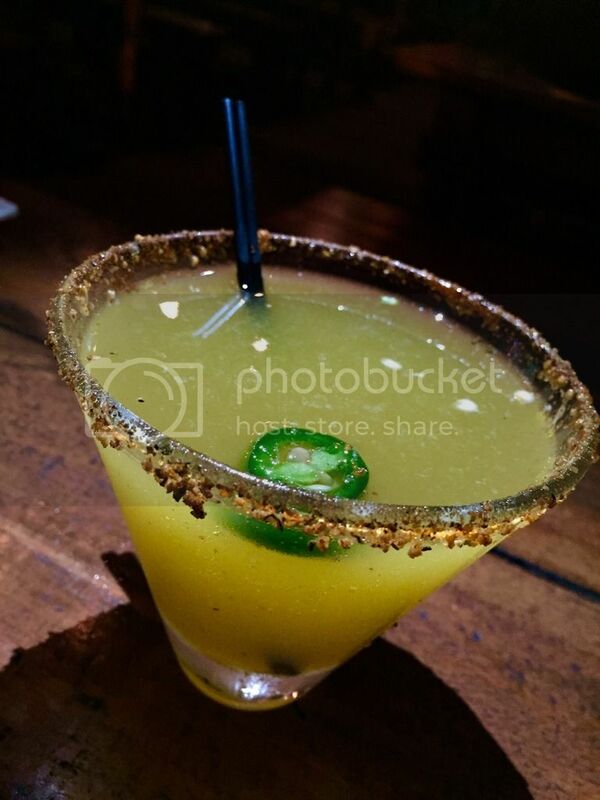 Passion Fruit Jalapeno Margarita – (below) Herradura Silver, passion fruit, simple syrup, muddled jalapeno and a chili rim (not too spicy, not too sweet). Morning Glory – (a favorite, below) Woodford Bourbon, Kahlua, orange and chocolate bitters and an orange twist (dark, smoky and strong). 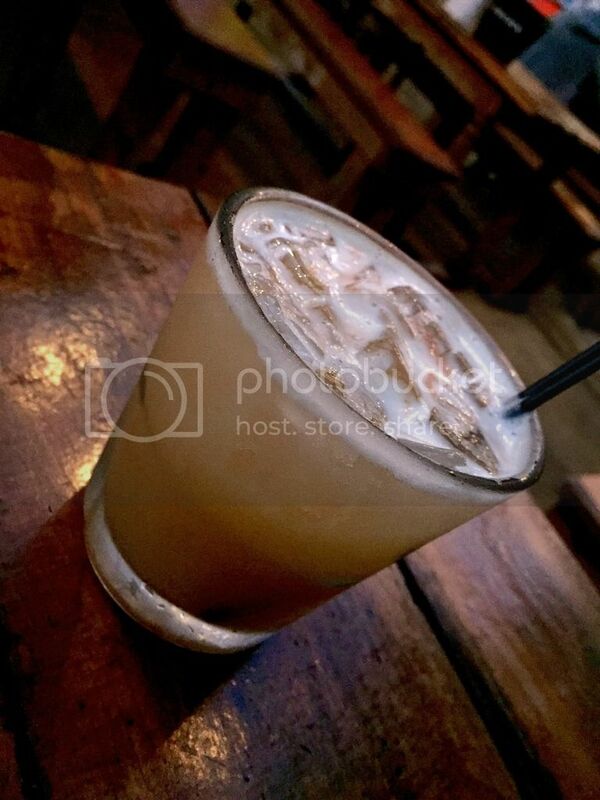 BBQ Sour – (a favorite, below) Forester Bourbon, lemon, simple syrup and BBQ bitters (goes down like velvet). 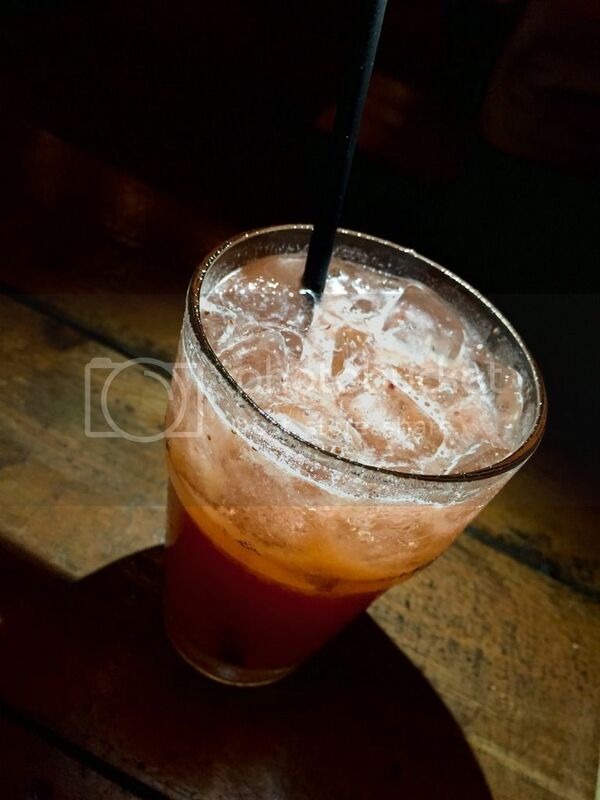 Honey Me Berry – (below) Blackwell Rum, fresh strawberry, lime, honey and ginger beer (tart and tangy like sunshine in a cup). 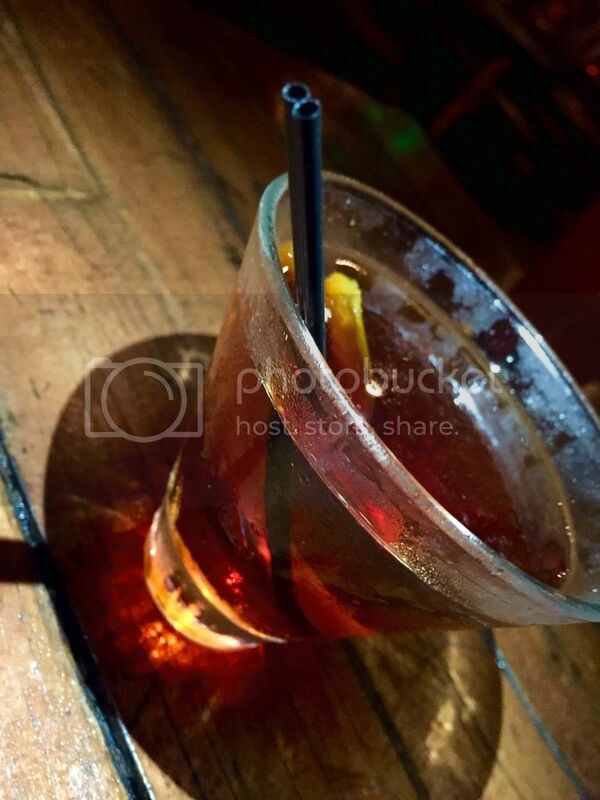 Horeshoe Cup – (a favorite, below) Herradura Reposado, Pimm’s No. 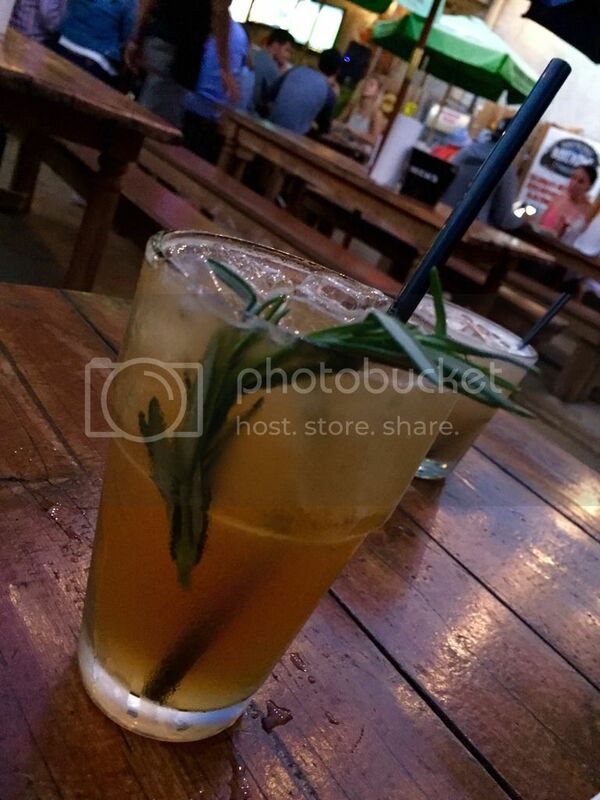 1, lemon, simple syrup, fresh rosemary and lemon lime soda (will soothe your spirit and tantalize your tastebuds).